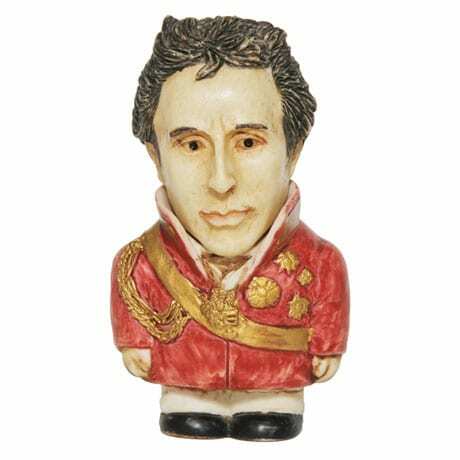 With famous faces and secret spaces, standing about 2" tall, these little figures are made to delight and inspire curiosity about the past. Cast in crushed marble from originals carved at Martin Perry Studios in Gloucestershire, England, sized to fit in the palm of your hand, each hand-painted collectible has a hidden compartment for storing tiny treasures. Story card included. Sold separately.